Telemedicine Reimbursement - There's an App for That! 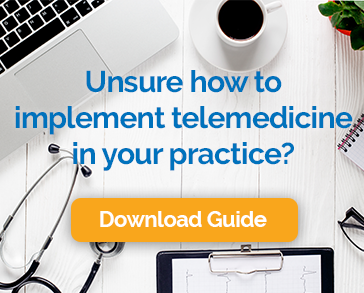 Telemedicine Reimbursement – There’s an App for That! As you are probably painfully aware, medical billing is complicated, confusing, and time consuming. When it comes to billing for video visits conducted using telemedicine, it becomes orders of magnitude more so. Sadly, this has kept some practices from adopting telemedicine at all. Although telemedicine has been around in one form or another since the 1960’s, it’s use as a mainstream channel for clinical care delivery is fairly new. As often happens when technology and regulations collide, the laws and policies have some catching up to do. Right now, there is a patchwork of state laws and insurer practices that govern payment for telemedicine visits. Twenty-six states have laws on the books mandating payment for video visits. Some insurers are on board, and others aren’t. Only some Medicare patients are eligible for telemedicine reimbursement, and then only under certain conditions. If you don’t have a full grasp on exactly which telemedicine encounters qualify for reimbursement, we don’t blame you. Understanding how providers get paid for video visits is a full time job. Actually, it’s several full time jobs. We recognize how difficult it is to figure out telehealth reimbursement. We also realize that providers don’t like doing work for which they won’t get paid. That’s why we invented an app to solve the problem. We call it the Chiron Rules Engine. Our team of experts keeps up with all the changes in the telehealth reimbursement landscape. They understand the rules and bake them into our software. Every time your staff schedules a video visit, the Rules Engine springs into action and determines whether the encounter will be reimbursable. If a law or payer policy changes (they frequently do, 10 states have telehealth parity legislation pending right now), our team will update the system and you’ll automatically get the benefit of their diligent attention to the issue. We are so confident that our Rules Engine will make the right call about getting you paid, that we offer the Chiron Reimbursement Guarantee. If a claim that we verified is ever denied, our team will work with you and the payer to get it resolved right away. We understand the best practices for telehealth claim submittal and dispute resolution. If we can’t get such a visit resolved, we’ll pay you for it ourselves. We trust our Rules Engine that much and you can too. By adding the option of remote visits to your practice you can reduce wait times, make more efficient use of your staff, gain a competitive advantage, and delight your patients. More good news is that you don’t have to get great at getting reimbursed for telemedicine encounters. We already did.